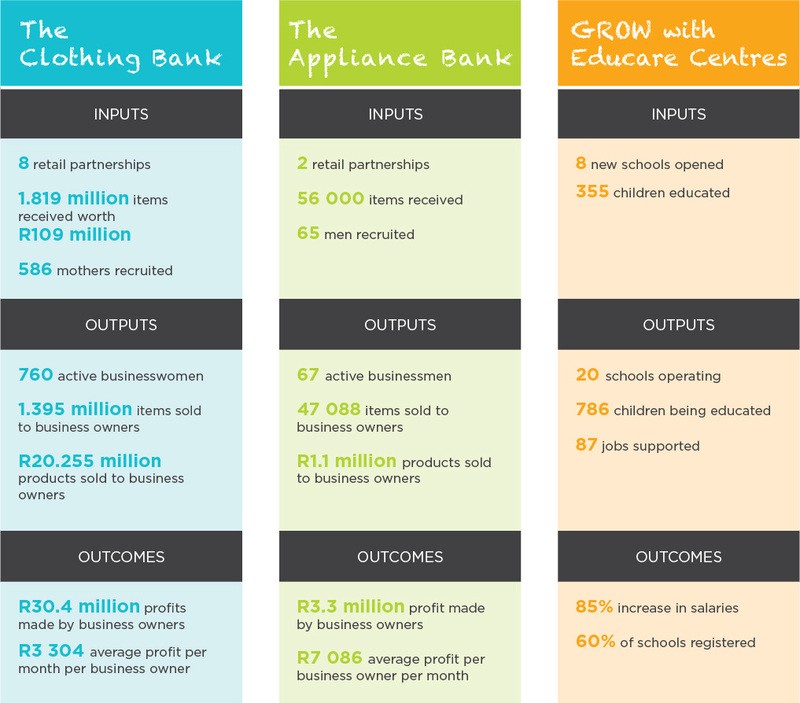 Last year, The Clothing Bank supported 760 women who made in excess of R30 million in profits and 67 men in The Appliance Bank who made R3 million profit from their businesses. 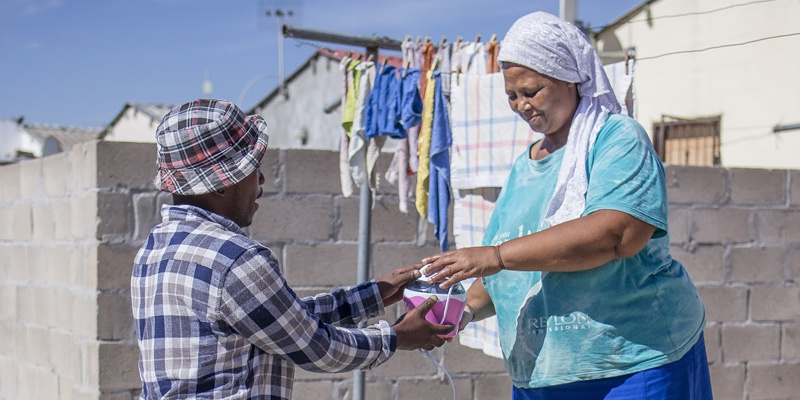 We have established 5 Clothing Bank and Appliance Bank branches in South Africa’s major cities: Cape Town, Johannesburg, Durban, East London and Paarl. We have the capacity to train 800 women and 220 men per year. We have 20 GROW with Educare Centres. 16 in the Western Cape and 4 in KwaZulu Natal. 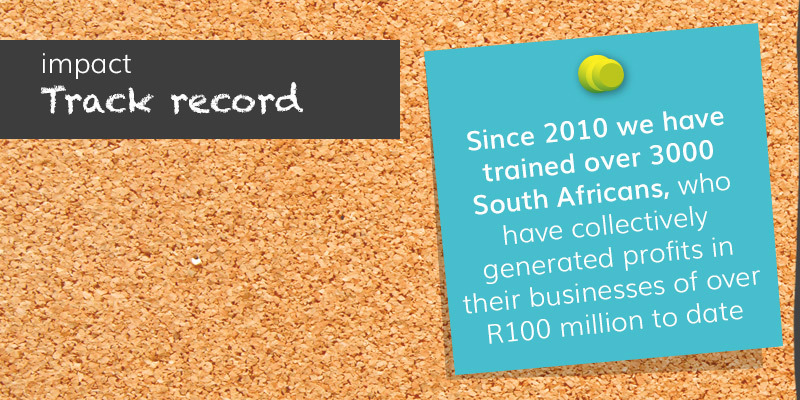 This has transformed the lives of 795 children and created 92 new formal jobs.